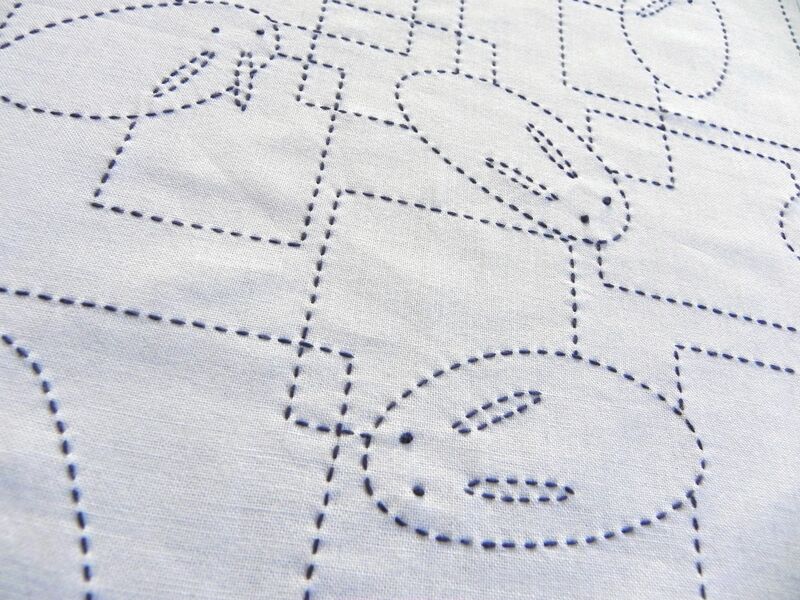 This entry was posted in sewing and tagged baby, blue, embroidery, rabbits, sashiko, sewing. Bookmark the permalink. Thank you! :) The panels are hand embroidered, but I’ll machine piece and quilt them. It would take me years to hand quilt if I went that route. So cute! I could look at those rabbits all day!